Remember back in the day when the term "beauty hacks" meant DIY sugar scrub facials and self-made hair lightener that required a few too many lemons and a poolside lounge chair? Often left with irritated skin and hair that resembled an orange, I soon realized that some things were just better left to the professionals. Nowadays there are many beauty "hacks" I swear by, but none of them involve concocting my own lotions and potions in my mom's kitchen - no - now, something only warrants the term when it has provided a substantial shortcut for an otherwise more tedious beauty process. So, that being said, you know who is absolutely killing it in the quick-fix department lately? Pixi. I've long been a fan of their Glow Tonic (for obvious reasons), but here are some other products that help make my beauty routine, and therefore life, easier. 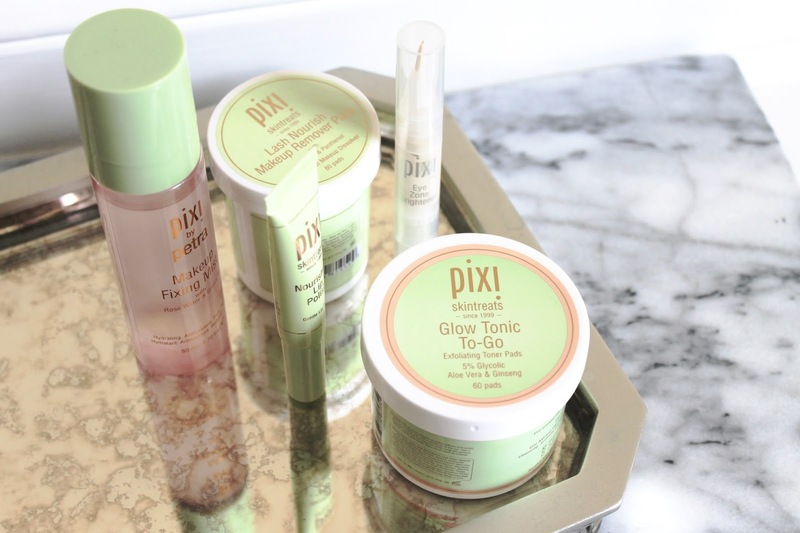 Pixi Glow Tonic To-Go - I won't ramble on and on about these pads, because I'm sure by now you're familiar with the premise of Glow Tonic. It's a chemically exfoliating toner with Glycolic Acid that still manages to nourish and renew the skin thanks to the inclusion of Aloe Vera and Ginseng. 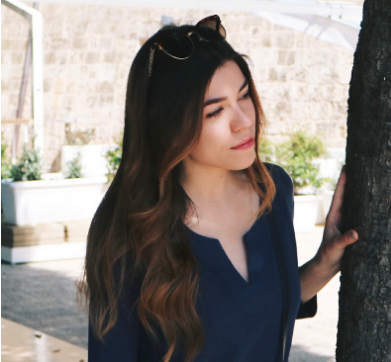 Basically exfoliation + hydration + brightening = glowier skin with a refined texture. Well, this tub containts the convenient, pre-soaked pad version and I absolutely love using them twice daily. 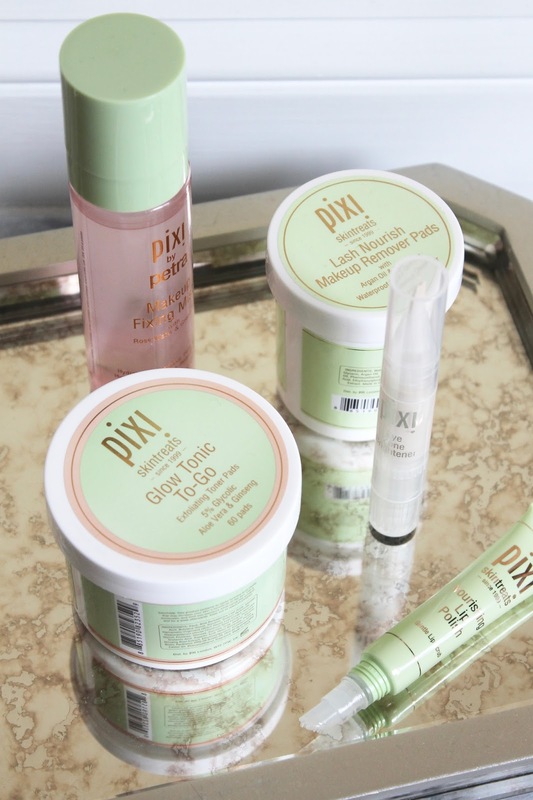 Pixi Lash Nourish Makeup Remover Pads - I'm not usually one to stray from my usual micellar water and cotton pad method of makeup removal, but these pads work wonders on tough-to-remove eye makeup. They contain argan oil, so they're moisturizing and there's no irritating scent or burning sensation whatsoever. One pad will swipe away everything on your eyes and the portability of the container makes them perfect for travel. Yup, that's one less liquid to worry about. Win! Pixi Makeup Fixing Mist - You know how I feel about mists. I love them as toners, makeup primers, setting sprays, and mid-day pick me ups. Well this one kind of does all of that in one. I love that it can be used as a makeup prep step, so that you're starting off with an already dewy, plumped base. It also makes for a great setting spray, adding some life back into the skin and making everything look more seamless and natural, plus you can refresh throughout the day with a spritz instead of layering on more powder, which is always the goal. 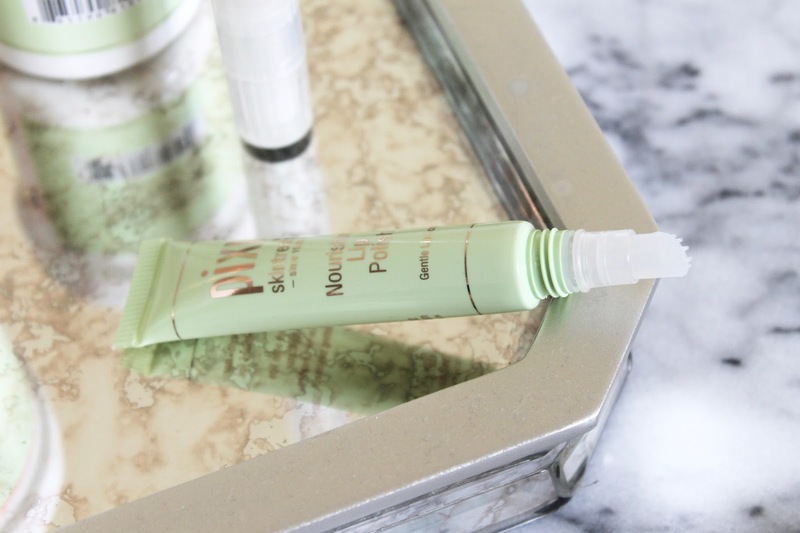 Pixi Nourishing Lip Polish - This sleek tube is outfitted with a squishy, pleasing-to-use spiked tip that deposits a clear moisturizing lip gel that both exfoliates and nourishes on contact. Usually, lip scrubs come with clear instructions to wash, or sometimes, lick the grains off after exfoliating. Not this one - it has grains tiny enough to be left on the lips and after a few minutes, it feels just like a lightweight, but über hydrating balm was applied to your perfectly smooth lips. I love how you can really get into the nooks and crannies of your lips as well thanks to the genius applicator tip. It can become a bit addicting - you've been warned. Pixi Eye Zone Brightener - If you're anything like me, you want your dark circles to vanish, and while that's virtually impossible, makeup gets us a few steps closer. I'm a regular user of concealer in the area, and sometimes, I need an extra boost, but I absolutely loathe the feeling and look of too much makeup in such a delicate area. This brightening, hydrating cream does the job of lifting shadows without depositing any actual makeup, so that way, when you apply your concealer you don't need to cake it on so heavily. I also love that you can swipe it on with the click pen for precise control.